The one on the left is a young bull so we think this is a break-away herd. There were five of them all together. 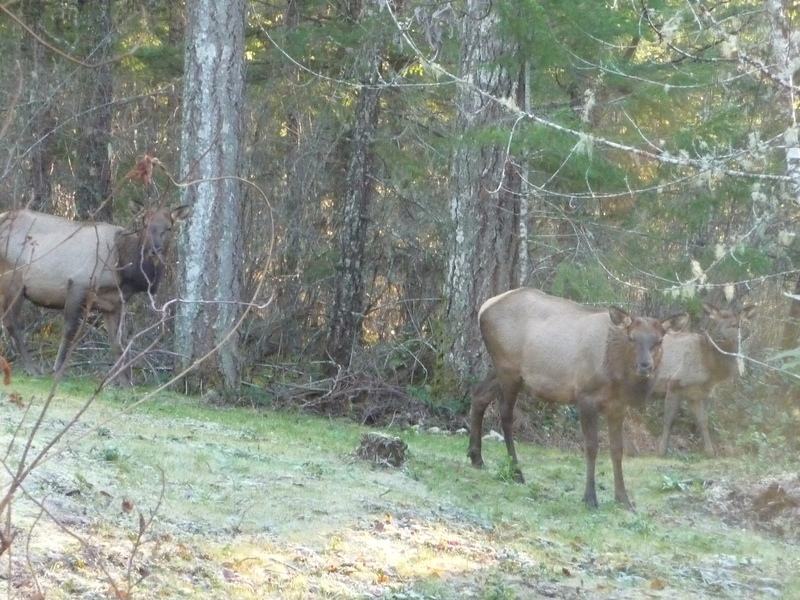 It’s funny: I dreamed of elk while I was away and woke with an intense desire to see them in the winter woods. This is the next best thing. ~ by theresakishkan on December 8, 2013. This entry was posted on December 8, 2013 at 5:15 pm and is filed under Uncategorized.You can follow any responses to this entry through the RSS 2.0 feed.You can leave a response, or trackback from your own site.